I have been waiting all summer for these to start blooming and finally this morning I had a wonderful surprise! The flowers on this plant are the size of a plate and they are absolutely beautiful. It is one of my favorites in my garden. I excited to see lots of buds too! While I was here I saw this and it is stunning. Mine has not bloomed yet, but has a ton of buds, my all time favorite flower!!!! Beautiful! 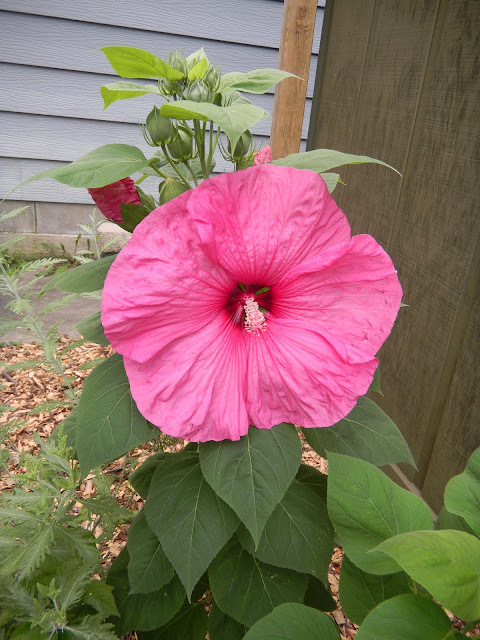 I have an orang hibiscus that I keep in a pot and bring it in the house in the fall. Believe it or not, it blooms all winter. New follower from the blog hop.